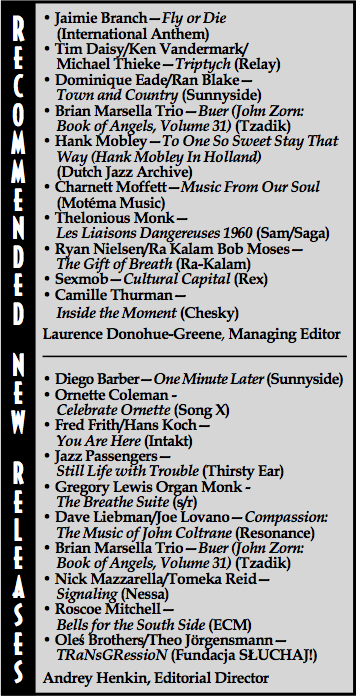 Andrey Henkin the Editional Director of New York City Jazz Records recommends our album TRANSGRESSION by Oles Brothers & Theo Jörgensmann in the June edition. Thank you!! Below you can listen music which was recorded in 2011. 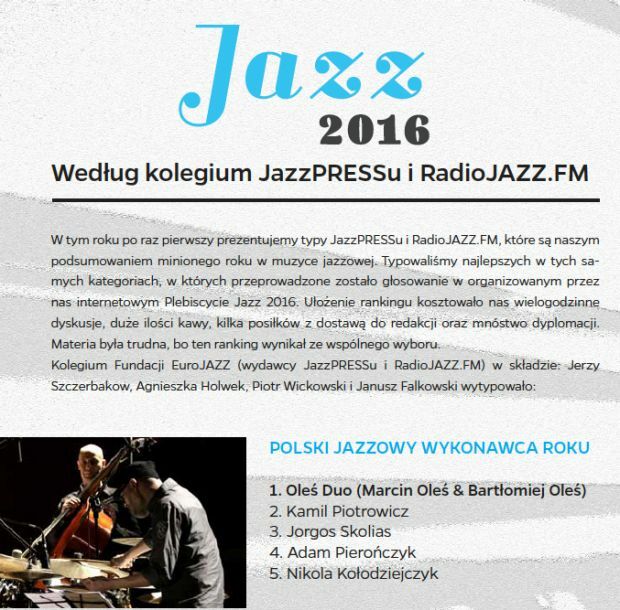 After publishing four albums including “Maggid” by trio Sefardix, “One step from the past” by Oles Duo, “Transgression” by trio with Theo Jörgensmann and “Primitivo” by trio with Antoni Gralak OLES BROTHERS have been choose as the BEST JAZZ ARTIST of the year 2016 according to editors of Radio Jazz and Jazz Press Magasine. A new quartet JAZZFORMANCE was performing in Cracow in a three months period – October-December 20015. Below you can watch a video which has been taken within these concerts. 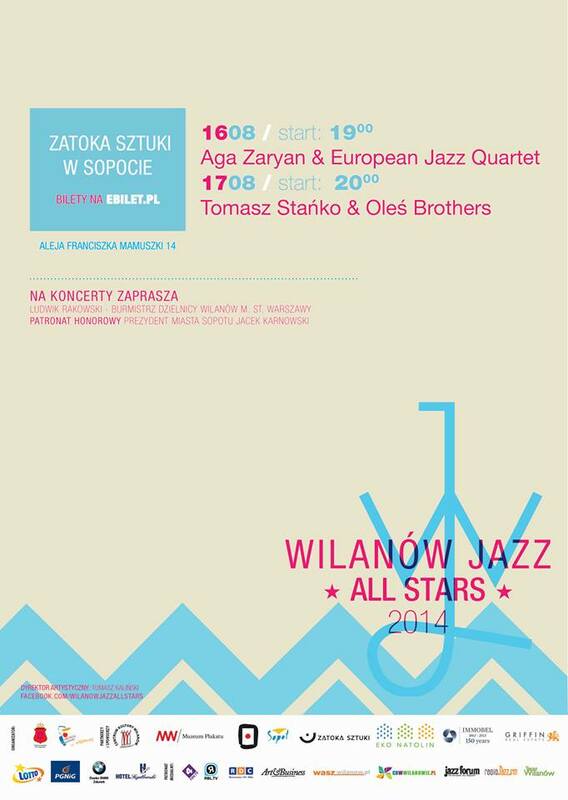 Jazz and contemporary poetry of one of the most influential Polish modern poet Witold Wirpsza. 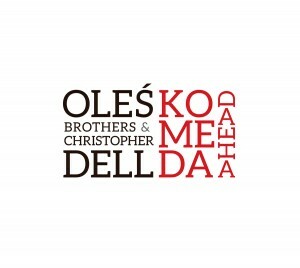 Trio Oles Brothers & Christopher Dell at Lutoslawski Hall in Warsaw. There are some photos from the live concert of the special project of Tomasz Stanko & Oles Brothers. 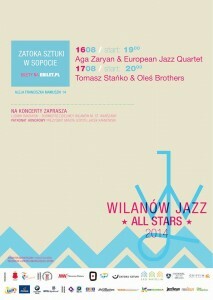 The live took a part August 17th in Sopot, Poland at Zatoka Sztuki. Photos by Mateusz Ryman from Jazzsoul. June 5th took a place a double bass solo recital of Marcin Oles. It was a first solo recital after more then 10 years after realisation of the first solo album of Marcin’s “ORNETTE ON BASS”. It is worth to mention here that the Ornette on Bass has been chosen in Poland in 2002 as “The best jazz album of the year”. The new music called bassoNOVA is a homage to a great soloist Francois Rabbath and music has much more virtuosic orientation. 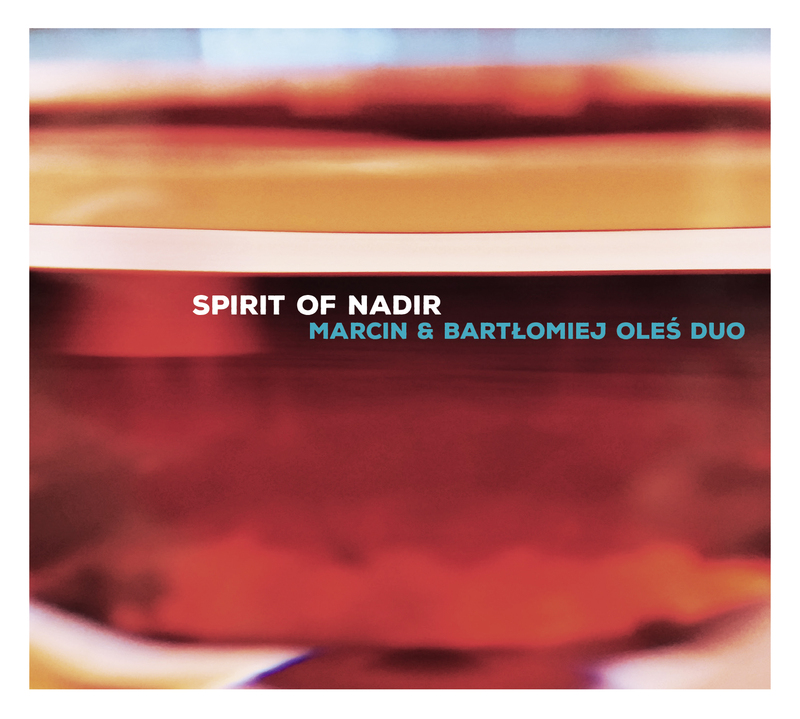 Marcin Oles explores here a new territory of the double bass.